It’s always fun to browse through Kickstarter and find neat projects to fund, and a new one called GlowLytes has caught our attention. It is much like the multi-colored LED bulbs that you can put inside of your house sockets, but these are specifically made to be put outdoors. 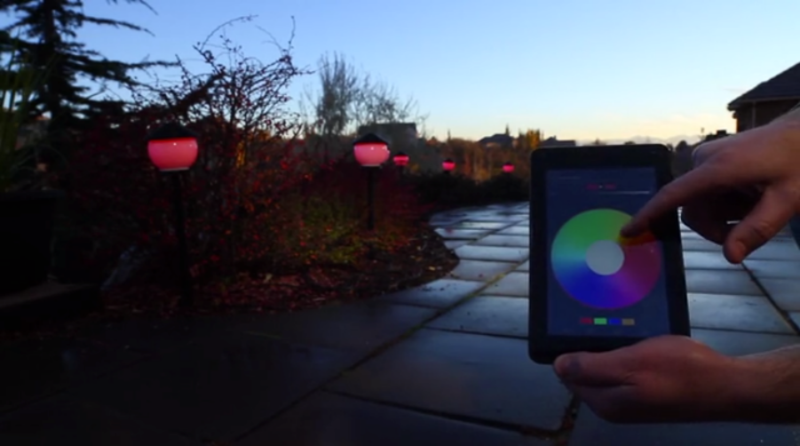 Once you set up the set of multi-color LED lights, you can control individual bulbs using your Android or iOS device. There are also presets available for special occasions, such as Christmas, 4th of July, and Halloween. It’s a fun and mobile-related way to show off your festive side all year round. Each bulb is controlled by a central panel which is connected to your home’s WiFi, which is how your device is allowed to talk to each bulb. The idea is really neat, and the founders are looking for $90,000 to get their project off of the ground. Backer bundles with lights start at $200 and go up from there, so yes it does seem a bit pricey off of the bat. Although, if anyone is familiar with outdoor lighting, it’s not a cheap process. What is nice about the LED aspect is that they use a lot less energy as conventional light bulbs as well, so your electric bill will thank you.